The Clinic for Special Children holds a series of benefit auctions each year to fund their operations. If you’re not familiar with it, the clinic was founded 30 years ago by Dr. Holmes Morton in Strasburg, PA (Lancaster County), to help treat children with rare genetic ailments. I attended one of these auctions in Leola, PA about 10 years ago, and it was heavily attended by the local Plain population. Our clinic serves as a trusted medical home for families working to prevent and treat genetic illness in their children. 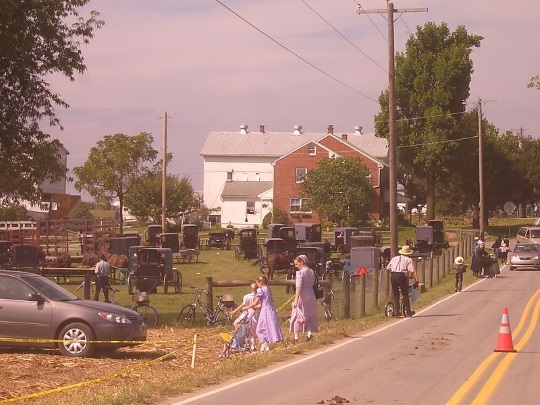 Serving predominantly Amish and Mennonite families, the sturdy, timber-framed building was “raised” by the hands of those in the Anabaptist community outside of Strasburg, PA. Inside the clinic is filled with an array of high-tech gene sequencing that allows us to deliver state of the art care in a nurturing environment. 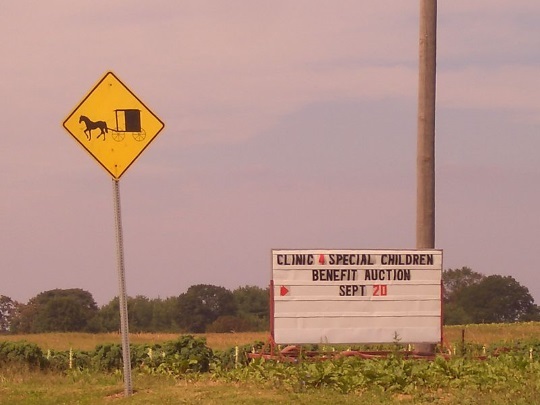 Amish and other Plain patients and their families appreciate the work of the clinic for making what would otherwise be very costly treatments affordable, and providing care in a local environment that is attuned to Plain values. Here are the dates of 7 auctions for 2019, in locations in Pennsylvania, Ohio, and Missouri. You can find out more on each of these events at the Clinic for Special Children website. Hat tip to Danielle Farmer Malik for the idea for this post. If you have a chance to attend one of these, let us know! The Youtube video on Dr. Holmes’ Morton’s Clinic for Special Children is amazing! Morton failed most his science classes in high school yet went on to win the highest scientific awards and save lives involving genetic disorders. His results are not because of our educational system, it’s in spite of our regimented system. Thank you for the posting. We certainly will attend. This is an important event. Please keep me on your mailing list. Please note I am not a Facebooker. There is a small school benefit auction the first Saturday of each August near 5 Points (Jackson Center). Look for the ad and address in the Area Shopper nearer to the date. Much, much smaller than either of the 2 auctions you mentioned, and lower prices as well. Would it be alright to send in monetary donations for these auctions?